“There’s a great music scene and a lot of gigging musicians living in Houston, but few places to get musical equipment fixed when time is a factor. When I was playing in bands a few years back, any problem with a guitar or one of my amps meant I had two basic options: take it to one of the guitar shops scattered around town and let one of their repair guys fix it, or try to remedy what was wrong with it myself. Lots of places have offered me good repair work, but the problem has always been the amount of time it took to complete. I might drop a guitar off for something that seemed relatively minor and then still wait a week or more for the work to be done. But I didn’t always have six or seven days to spare, as I often had shows to play sooner than that. Inspired by that exact same scenario, a new guitar-repair and musical gear shop recently opened in the Heights. 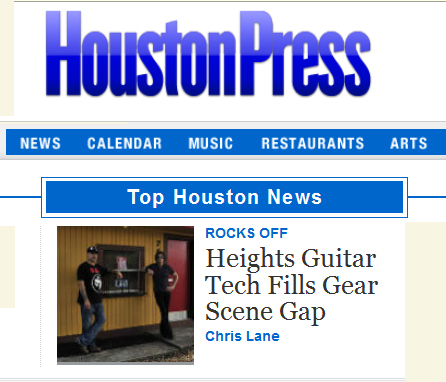 Nightclub owner and occasional rock star Mitch Burman decided to open Heights Guitar Tech last summer with music producer and artist Steve Boriack after realizing that Houston musicians were facing unreasonably long wait times to have their instruments repaired. 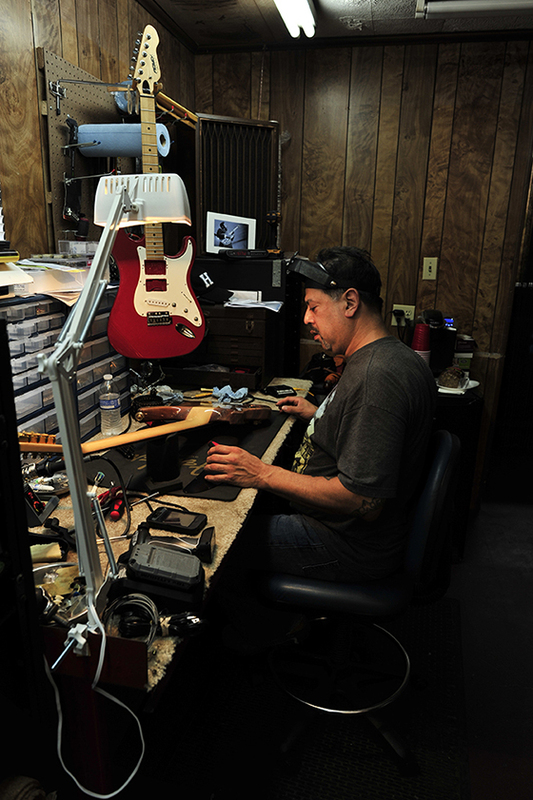 Houston has a good number of great, independently-owned guitar shops that sell used gear. Places like Heights Guitar Tech have walls of previously owned instruments for sale, and purchasing from local places like those builds a relationship between the store and its customers. The person buying can feel confident that any issues with the guitar have been fixed, and can also have access to the local guitar community that no pawn shop or national chain can offer. Having a good relationship with these types of shops is a huge resource to a player, and one that can become very important to them as they grow in their playing abilities.